There is a mysterious absence of lamps in ancient Egypt, ie very few artificial lights or lamps turn up in archaeological digs. 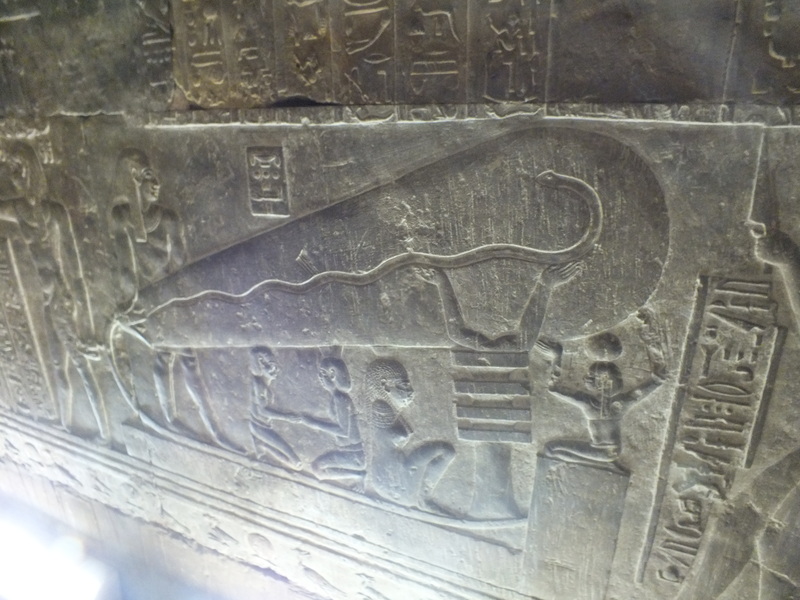 The lack of examples is explained by the use of floating wicks, an innovation of the Ancient Egyptians. The floating wick system does not require a special or distinctive pot to contain the olive or other flammable oil. An Egyptian lamp will therefore look like any other pot. 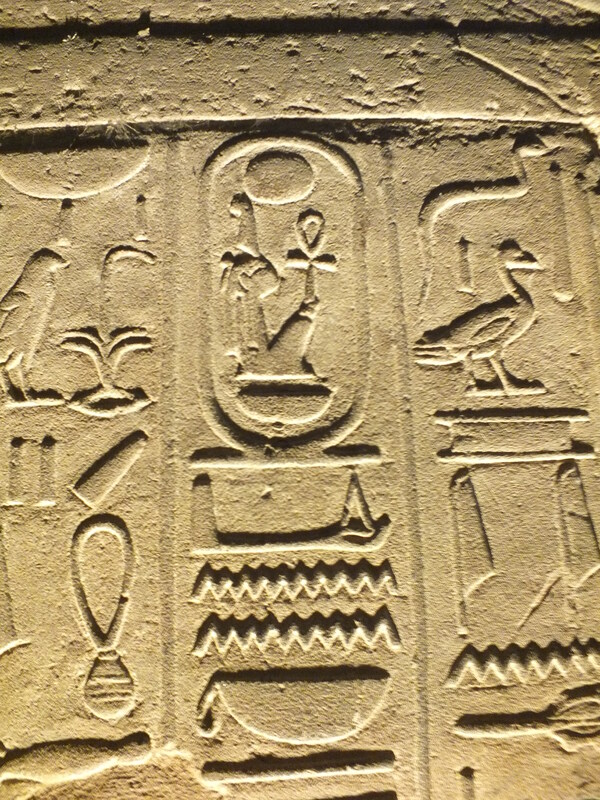 Until the invention of glass, Egyptian lamps were made of stone such as alabaster or ceramic such as terracotta. 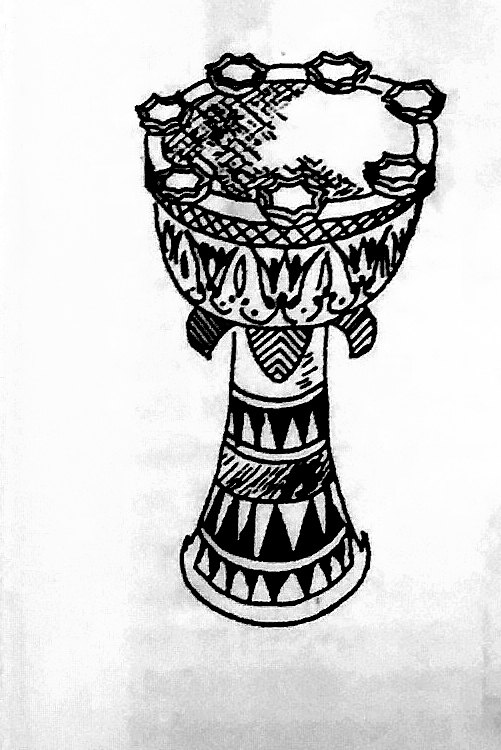 It seems likely that ritual objects in shrines were lit from below by a bowl containing several floating wicks or possibly placed in a special niche. 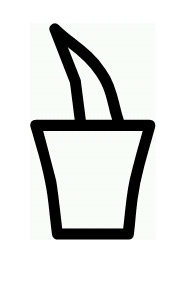 The wick, made from twisted vegetable fibres is a common hieroglyphic sign. 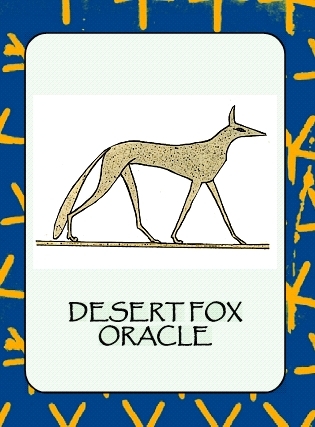 There is an important connection between this sign and Egyptian magick. This is also emblematic of later magick where for example in Islam the magician is described as the “blower of knots.” – a reverence to cord magick. This leads to the additional hypothesis concerning lighting technology used by the early Hebrews whose history is usually traced to the foundation narrative of the book of Exodus. The description of the menorah or sanctuary “candelabra” used by the Hebrews in the Sinai desert is supposedly a new design dictated to Moses on mount Sinai. The original narrative has generated a number of re-constructions. My hypothesis is that the original menorah ought really to be based on the technology of the Egyptians, containing seven floating wicks. 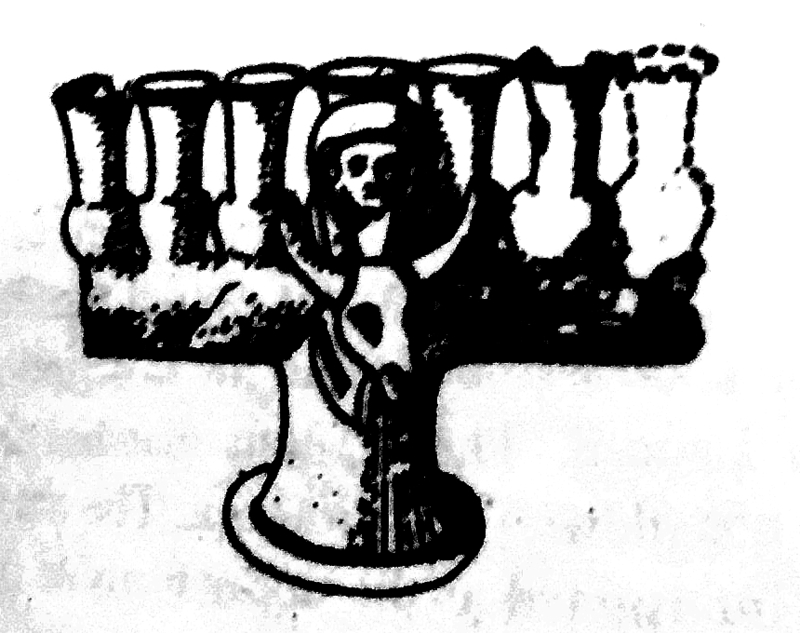 The description of the menorah in the Bible is compatible with floating wick system and was used in at least one Egyptian synagogue at Leontopolis. Even so it is notable that this was not the lightning technology widely used in Israel after the Babylonian captivity. This fact presents us with perhaps an additional problem for the historicity, the truth of the Biblical narrative. Robins makes the rather brilliant deduction that the lack of examples is explained by the Egyptian use of the floating wick. He assumes floating wicks were an innovation of the Ancient Egyptians. The floating wick system does not require a special or distinctive pot to contain the olive or other flammable oil. This lightning technology enables us to imagine how the otherwise dark interiors of temple would have looked. It is generally thought the holy of holies was heavy chiaroscuro, alleviated by bright shafts of light from overhead skylights. Artificial lamps in stone pots would work best if placed at the base of statues, giving them an uplighted look. Translucent alabaster lamps would give a gentler illumination, Lamps might also be placed in niches near the object. My next step is to re-explore surviving Egyptian monuments to see if there is evidence of any of this systems in use. Examples of the small components used in the floating wick system have not so far turned up in excavations probably because they are too small, delicate or made of less robust materials. Other kinds of oil lamp have a distinctive spout to hold the wick. An Egyptian lamp could look like any other pot. Robins cites several other sources from Egypt that document the use of such lights with floating wicks, either in freestanding pots, stone or ceramic, or as in later church architecture in glass bowls suspended by chains from the ceiling. This later arrangement was also adopted by Egypt’s Jewish community, still in residence during the Persian period. This report comes from the Jewish- Roman historian Josephus who says a menorah suspended on chains from the ceiling once existed in the synagogue of Onias at Leontopolis. Unfortunately this synagogue was demolished in ancient times. This is also the first syllable of the word “Heka” which means “magick”. It is well known that cords and ropes perform an important function within ancient Egyptian magick. This could be in the sense of surrounding something with a protective barrier as in the rope like cartouche that surrounds the name of the king. Lamps are also used in various contexts to repel unwanted spirits. We could almost refer to lamp magick as a specialty. Needless to say, all of the extant examples of such lamps come from the late period onwards , ie after 664bce, none have apparently survived from the earlier periods. The practice of cord magic of various sorts never dies out. In the Koran magicians are referred to as “blowers on knots” (Koran CXIII & CXIV). This is interpreted as a reference to practitioners of knot magick, The magicians doing this by reciting incantations to do harm on others while they tie ‘knots’ in a string (see Ahmad Al Safi 2006: 122). The final two chapters of the Koran, collectively called Mu’awazatain are a refuge against such activities. Which brings me to the topic of the Hebrew menorah. 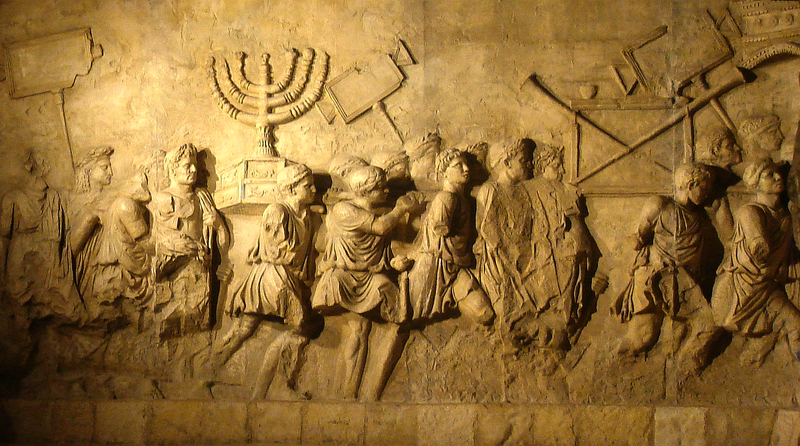 The Menorah is the seven branched “candelabra” supposedly described in Biblical / Torah passages. Modern scholarship in Hebrew studies tells us that the usual English translation is misleading and in fact the earliest forms of this cultic lamp stand did not have seven branches! This was an innovation of the so-called second temple period in Israel when in 539bce the Jews, as they then called themselves, returned from exile in Babylon, rebuilt the ruined temple and reconstructed its equipment. So the Menorah was an oil lamp, which judging by the description of the talent of gold used in its construction would have weighed more than 100lbs. Perhaps it is naive but one might expect the lighting systems of the early Hebrews to mirror those of the ancient Egyptians. I say this on the basis of the famous Biblical (Torah & Koran) narrative of the Exodus, ie the account of the Hebrews supposed residence in Egypt, eventually declining to a despised ethnic minority and eventually seeking to leave, etc. It is remarkable how many scholarly books make little out of this supposed connection. Hachlili’s seminal study of the Menorah is fairly dismissive of any Egyptian antecedents. On the other hand, C L Meyers, whose work is discussed by Hachlili says “the Egyptian background to the image is striking”. “Make a lampstand of pure gold. Hammer out its base and shaft, and make its flowerlike cups, buds and blossoms of one piece with them. Six branches are to extend from the sides of the lampstand—three on one side and three on the other. Three cups shaped like almond flowers with buds and blossoms are to be on one branch, three on the next branch, and the same for all six branches extending from the lampstand. And on the lampstand are to be four cups shaped like almond flowers with buds and blossoms. One bud shall be under the first pair of branches extending from the lampstand, a second bud under the second pair, and a third bud under the third pair—six branches in all. The buds and branches shall be all of one piece with the lampstand, hammered out of pure gold. Then make its seven lamps and set them up on it so that they light the space in front of it. Its wick trimmers and trays are to be of pure gold. A talent of pure gold is to be used for the lampstand and all these accessories. See that you make them according to the pattern shown you on the mountain.” (Exodus 25 31-40). Zechariah, the 6th century bce prophet provides the first mention of seven lamps “a menorah all of gold with a bowl on the top of it and seven lamps on it, with seven lips on each of the lamps. “ Zechariah 4, 2-3. From this we also learn something of how the lighting system worked, the lamp stand holds ceramic bowls full of lamp oil, placed on each of the flower-like structures. My thesis is that the Biblical/Torah description is compatible with the floating wick system as invented by the ancient Egyptians. It is even possible the business end of the lamp described as having “three cups shaped like almond flowers with buds and blossoms ” might be an unrecognised attempt to describe this, the “ buds” of the flower like floating component which would be placed inside the main oil receptacle, itself also flower like. Almond blossoms have six petals, perhaps this could be related to the shape of the float. Finally, does this theory have any relevance to the historicity or otherwise of the Biblical account of a mass Exodus from Egypt? If we accept the theory the Egyptians used the floating wick system then we might expect the Hebrew ethnic minority to takes some of this technology with them when they exited. It is usually thought that technology transfer is less loaded than other kinds of transmission of ideas. One can imagine an ancient people might reject aspects of the host’s theology but still retain some of the practical skills they have learnt. Although the description of the archaic Hebrew menorah is compatible with the hypothesized Egyptian lighting system, this has not thus far evidenced in surviving examples of lamps in Israel. Israel’s foundation narrative and description of the menorah was only actually written, redacted, edited a thousand years or more after time these events could have happened. From the point of view of Egyptian historical records there is nothing that incontrovertibly even points to such an exodus. Attempts to match Egypt and Biblical history remain mainly speculative, thus far at least. The Menorah should be based on an Egyptian design but all surviving examples are all post Babylonian exile, second temple reconstructions. The new equipment used in the second Jerusalem temple show more the influence of Mesopotamia and the archaic Greek world. This is to be expected. Hence a great deal of their later technology, lighting, calendrics etc has lost any Egyptian patterns it might once have had. It’s almost as if the ancient Hebrew sojourn in Egypt has never actually happened. Forbes, R J (1955). Studies in Ancient technology. pp. 139–140.ISBN 9789004006263. Retrieved 7 November 2014. For the Dendera texts see Chassinat, Cauville 1997; cf. F. Daumas, LÄ s.v. “Choiakfeste”; Lloyd 2.276–79. For the navigation rite see, e.g., cols. 20–21, 113–14 (Cauville 1997: 1.16, 25). 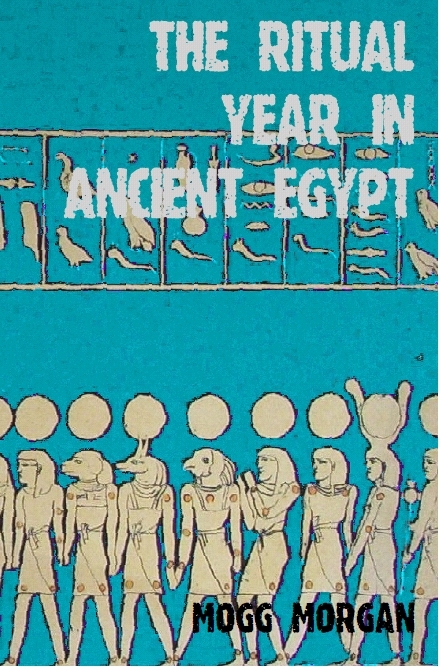 Jill Smethills, “Playing with fire” Ancient Egypt Magazine 15.1 Aug/Sep 2014 pp12-16.